Winemaker’s Notes: In the glass, a brilliant pale yellow reminiscent of white currants; the wine opens with an intense bouquet of gooseberries, feijoas, and ripe tropical fruits. The bright entry of fresh cut grass and preserved lemon lead to passionfruit pot de creme showcasing a long finish of fresh herbs and clean minerality. My Review: A while back I had the opportunity to participate in a live tasting with Dave Phinney, the winemaker behind the Locations line of wines. 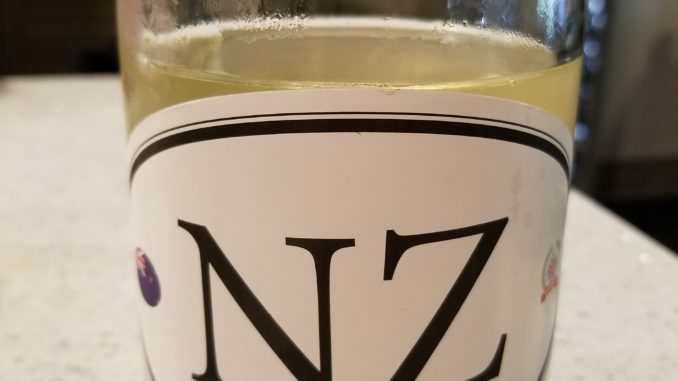 During the tasting, he mentioned an upcoming Sauvignon Blanc, so when offered the chance to try it, I certainly jumped at it, especially given how much of the variety my wife and I drink. In the glass the wine was a pale yellow color, and on the nose I picked up aromas of gooseberry and grass. In the mouth the wine was crisp and clean, with flavors of lemon and grass (which I expect in a New Zealand Sauvignon Blanc) that lead to a clean finish that had no linger. We paired the wine with quesadillas made from pulled pork we’d made the day before, and the crisp, citrus notes of the wine were a nice pairing with the Carolina-style pulled pork (vinegar!). For $20, I really liked this wine. It hit all the notes I wanted, had enough character without being overly complex, and paired well with food and by itself. What’s not to like? The Locations lines of wines have, by and large, been a great value for me, and the NZ6 is no exception.